Early morning start this morning for Blue Wave Aquatic's Race Crew at the SheRox Triathlon! Congratulations to Zena Courtney for hosting such an awesome race! Awesome finishes from BWAQ members: Miranda Cox,Melissa Braisted Nordquist, Scott Lautman, Scott W. Matthews, Stephen Freeborn, Morgan Adams, Briley Boggs, Jennifer Mesler, Pat Duggan, Dan Smith, Paul Havick, Tom Himmelberger, Bob Litchenwalter, Zena Courtney and Janelle Outerson! Support please! 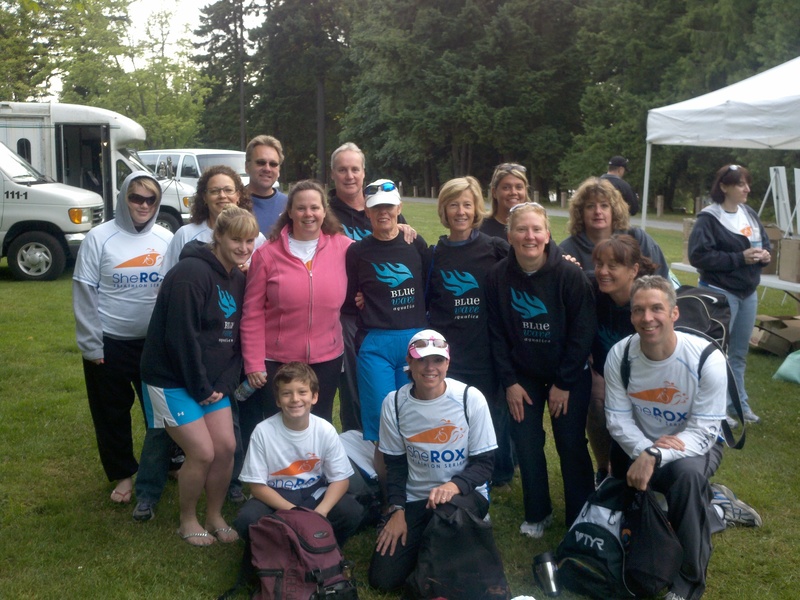 July 10th we have been asked to provide 15 in water swim buddies to support swimmers during the SheRox Triathlon in Federal Way. All you need to do is tread water (wetsuit encouraged), be able to speak calmly and positively to encourage swimmers to finish the course.